Shopping for a new TV can be overwhelming. There are many different factors to consider, from screen size to quality to price. Finding one TV that meets all your needs and doesn’t break the bank can feel like an impossible task. 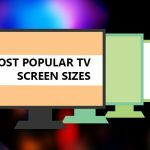 In this comprehensive TV buying guide, we’ll take a look at the TVs that are out there and show you how to find the best TV for your family. One of the first decisions any prospective TV buyer will make is the resolution you’re looking for. If it’s been a few years since you bought a TV, you might have noticed some new acronyms out there. Once upon a time, when searching for the right TV, you only had to decide whether or not you wanted an HD (high definition) TV. 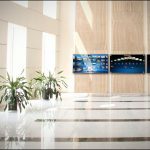 HD TVs are higher resolution than old standard TVs, which means they offer superior picture quality. Today, there’s an even better option. You may have heard of Ultra HD TVs and 4K TVs. Both these acronyms mean the same thing. These new Ultra HD TVs have an even higher resolution than HD TVs. Ultra HD TVs have an extremely good picture quality. Ultra HD content looks lifelike on an Ultra HD TV and is simply stunning. However, there is one problem with Ultra HD or 4K TVs—there’s not a ton of content filmed in this high resolution. That means even though your Ultra HD TV might be capable of producing beautiful, life-like images, you’ll most likely be watching regular old HD content. But that doesn’t mean getting an Ultra HD TV is pointless. On the contrary, as prices drop and more people purchase these high end TVs, there will likely be more content created in higher 4K resolution. This means if you buy an Ultra HD TV now, you’ll be ahead of the curve. And when more Ultra HD content is available, you’ll be the first one to enjoy it. Still, an Ultra HD or 4K TV is going to cost you. You might pay a couple hundred dollars more for this higher quality TV. So if picture quality isn’t the most important thing for you, or if you’re on a tight budget, it might be smart to stick with a plain old HD TV. A bigger TV allows you to see more details, especially if you’re sitting further away from the screen. This is crucial if you’re a gamer, as you’ll want to see every tiny detail on your screen. It’s also helpful for watching sports, as it’s easier to follow the ball when you can really see it. With a larger TV, it’s also possible to sit further away. If you have a big living room, you can hang your TV all the way across the room and still see it with no problems. For homes with an open design a bigger TV screen might be the difference between being able to see the action from the kitchen and being left out. A giant TV screen can create a movie theatre experience at home. Guests and family will no doubt be impressed by a bigger TV screen, and it feels like you’re sitting in the front row of your very own home theatre. One of the biggest downfalls of a bigger TV is that you can really tell when the movie or show you’re watching was filmed in a lower resolution. With the big screen size, you can see every pixel. Of course, this does mean that high resolution content will look great, but you’ll have to suffer through old movies looking even worse than before. A big TV can also be difficult to fit into your room. 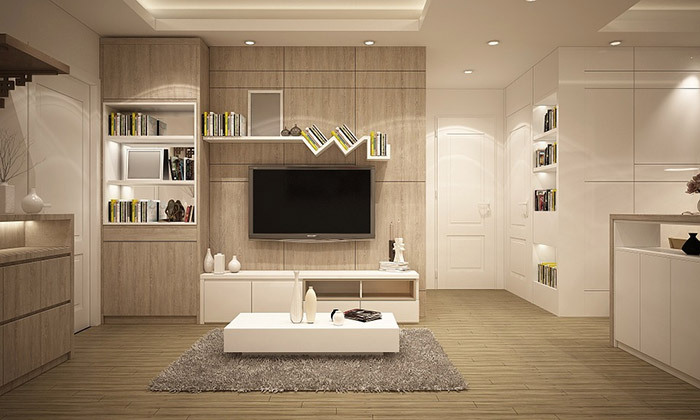 Depending on the size of the room and the TV screen, a larger TV can dominate the entire room. Decorating around a TV is possible, but it can be a bit of a challenge. Another challenge for those with smaller living rooms is finding the best place to sit. If you sit too close to a giant TV, you might strain your eyes or have a hard time focusing on the entire screen. One of the latest advances in the world of TVs is the Smart TV. 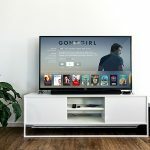 If you enjoy watching streaming content from the internet through a service such as Netflix, Hulu, or any other streaming service, you might want to consider purchasing a Smart TV. Smart TVs are just like a regular TV, except they can connect to the internet. 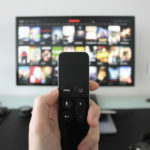 Instead of connecting your TV to a device like a laptop or game console to use apps such as Netflix, you can simply load the app onto your TV. This is great for reducing clutter and making life simpler. However, if you’re a fan of plain old cable, a Smart TV is probably unnecessary. Smart TVs do cost more than regular TVs as well. While it’s a nice feature, a Smart TV definitely isn’t a must-have. Curved TVs offer a more immersive, realistic viewing experience. The TV curves around you, taking up your whole field of vision. It also makes images appear more three dimensional and life-like. A curved TV also means easier viewing from any angle. This seems odd, but because of the way the light is projected, you can sit at an angle and still get a perfect viewing experience. Curved TVs also look bigger. Thanks to their curve, a 60-inch screen on a curved TV looks much bigger than a 60-inch flat screen. While a curved TV definitely looks better, they are very expensive. If you’re looking for the latest and greatest in TV screens but don’t want to break the bank, an Ultra HD TV offers more bang for your buck. However, if you want to have the latest and coolest technology in your home, a curved TV definitely makes a statement. Like with any home appliance, the TV you choose will be based on many factors. Resolution, screen size, and cool upgrades like a Smart TV or curved screen, are just some of the things to consider when purchasing a TV. You’ll also have to keep your budget in mind and pick the TV that’s right for you.